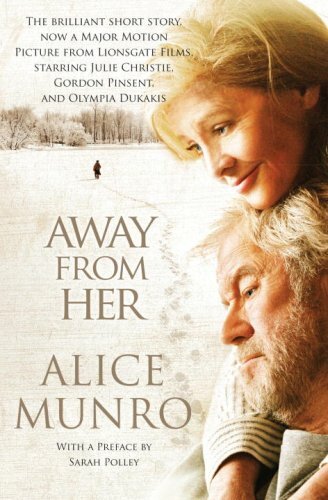 Alice Munro has long been heralded for her penetrating, lyrical prose, and in " The Bear Came Over the Mountain" - the basis for Sarah Polley' s film "Away From Her" -- her prodigious talents are once again on display. As she follows Grant, a retired professor whose wife Fiona begins gradually to lose her memory and drift away from him, we slowly see how a lifetime of intimate details can create a marriage, and how mysterious the bonds of love really are. Award for fiction for Who Do You Think You Are? and The Progress of Love, the Giller Prize for Runaway in 2004, the Man Booker International Prize in 2009 for her lifetime body of work, and the 2013 Nobel Prize in Literature. Her stories have appeared in numerous publications including The New Yorker, The Paris Review, and The Atlantic Monthly. Also, in 2013, her title Dear Life: Stories made The New York Times Best Seller List.